Join AMHP for an informative and fun-filled night where Democratic Candidate for Michigan Governor, Dr. Abdul El-Sayed, will be delivering a keynote address. Take part in an educational and entertaining evening. 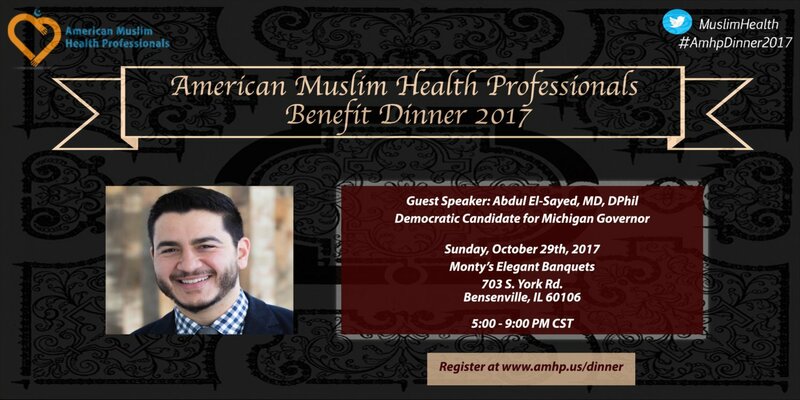 We are excited to announce Democratic Candidate for Michigan Governor, Dr. Abdul El-Sayed, will deliver a keynote address at AMHP’s 2017 Benefit Dinner. With health care professionals from around the U.S. in attendance, the AMHP Benefit Dinner is a great opportunity for your business or organization to reach a target audience! With an anticipated 250-300 healthcare professionals in attendance, this event is a great opportunity for your business/organization to reach a target audience. As an official sponsor of the event, you will receive promotion through our various social media platforms reaching nearly 8,000 active and engaged subscribers as well as multiple forms of acknowledgment at the event. Descriptions of the available sponsorship packages are listed HERE. Sponsorships must be confirmed by Monday, Oct. 9th. Please contact Shamaila Usmani at sponsorship@amhp.us or (612) 806-6735 with any questions about the sponsorship packages. Dr. Omar Lateef is the Chief Medical Officer and Vice President of Rush University Medical Center. 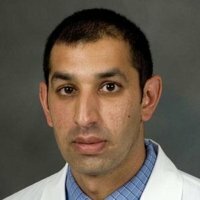 Dr Lateef is a pulmonary and critical care medicine specialist, associate professor of pulmonary medicine and previous associate dean of medical sciences. As Rush’s senior physician leader, Dr Lateef helps design, implement and ultimately oversee the organization’s clinical quality, patient safety and performance improvement initiatives. He is a member of the American College of Chest Physicians, the American Thoracic Society, the Society of Critical Care Medicine and the American College of Physicians. We are excited to have Abdul El-Sayed MD, Phil D., Democratic Candidate for Michigan Governor, deliver the keynote address. Dr. El-Sayed is a physician, Rhodes Scholar, former professor at an Ivy League University and the youngest Director of the Detroit Health Department. He is former captain of his high school football, wrestling and lacrosse teams. He is an internationally recognized public health expert. author of over 100 scholarly articles and book chapters on public health policy, social epidemiology and health disparities. It is no wonder that the 32-year-old was recently dubbed “The New Obama” by The Guardian. Dr. Abdul El-Sayed is delivering the keynote address at this event in his personal and professional capacity. The American Muslim Health Professionals is a tax-exempt organization under Section 501(c)(3) of the Internal Revenue Code and does not endorse or engage in political activity on behalf of any candidate for public office. AMHP is looking forward to having Zeshan B. as the musical performer at the Benefit Dinner this October. Chicago native and born to Muslim immigrants, Zeshan’s music reflects and brings together his dual identity. As an eclectic musician, he brings to life a fusion of soul, blues, R&B, along with South Asian styles. Zeshan has sold out shows all across the U.S., UK, Italy and India. He also had the honor of being invited and performing at the White House for Eid. 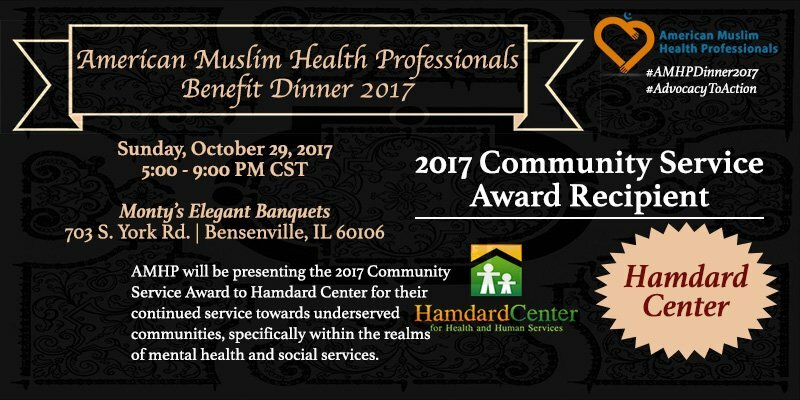 AMHP will be presenting the 2017 Community Service Award to Hamdard Center for their commitment and dedication to underserved communities throughout the Chicagoland area. Thank you Hamdard Center for your hard work in serving our community. 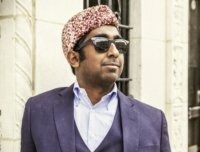 To learn more about Hamdard, visit www.hamdardcenter.org.